Pick you up from the Airport/Bus Station – Transfer to your hotel in Cusco, in the morning have a free time for rest and previous acclimatization, is very important to enjoy of your trip completely. In the afternoon, our Local guide will pick you up from your hotel in Cusco at around 1:30 pm to take you to our bus and start the tour of Cusco and its surroundings. We will visit the following archeological and religious attractions from the Inca Culture: On the city tour of Cusco, you will see interesting places within the city of Cusco like; The Cathedral and Q’oricancha (Inca Sun Temple), and the imposing Inca ruins at Sacsayhuaman, Qenqo, Puca pucara and Tambomachay, after that, return to the city of Cusco and transfer to your hotel. 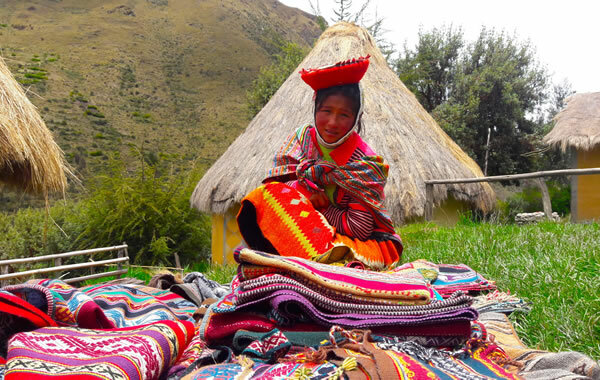 On this tour at 8:30 am Our local guide will pick you up from your hotel in Cusco, to take the bus for a road that winds around the mountains north of Cusco, After a 30 min ride in the bus, we will visit the traditional markets of Qorao, where we will appreciate the beautiful work of local Artisans. On the way we will stop at a famous point known as; El Mirador (Lookout Point). 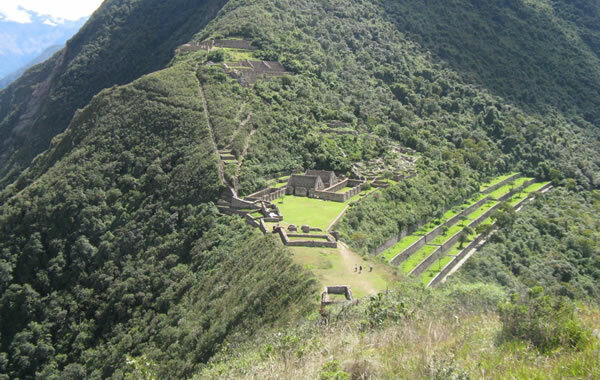 Then we will visit the archaeological complex and see the agricultural terraces, Inca cemeteries and royal Inca buildings. From there we will be able to see the whole Sacred Valley and take photographs. 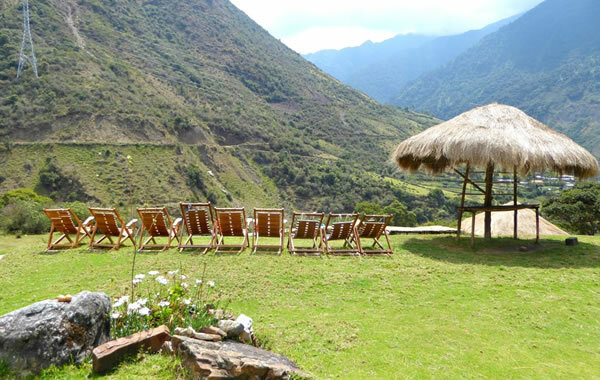 Our next destination is Urubamba which we´ll arrive to at 01:00 pm approx. to enjoy our buffet lunch at the local restaurants, from Urubamba it´s just 30 minutes to get to the last Inca ruins known as Ollantaytambo (Inca palace); this ruin ware built with pink granite rocks and is another impressive example of Inca craftmanship. Where you can see the second biggest rock from the Inca times (90 tons) which used as part of the Temple of the Sun. After your tour, you have free time to wander around the site before dinner, which you have in any one of the local restaurants. In the evening, you will head to the train station, which is, 15 minutes by foot; your train will depart at 7.00 pm to Aguas Calientes, and is a 2-hour journey. When you arrive in Aguas Calientes, the town for Machu Picchu, and our representative will meet you just outside the train station (and before the market) and take you to your hotel. Today is the most important day since we will be visiting Machu Picchu, because it’s so special, we encourage you to wake up early in the morning to enjoy breakfast at the hotel and then get to the bus station to try to catch one of the first buses, which start at 05.30 am (They are more like shuttles, all first come, first serve – and leave as soon as they fill up). This bus will take about 25 minutes up a switchback road to get to Machu Picchu, as soon as you arrive to the complex, it is our job to take you to the best spot to overlook all the ruins and get a panoramic view of the landscape and the sunrise over the mountains. There will be a meet to observe the sunrise (weather permitting) in order to get a spectacular view of the “Lost City of the Incas”; you will then have a 2-hour guided tour around Machu Picchu with plenty of free time afterwards to explore on your own. If you have tickets to climb one of the amazing mountains of Huayna Picchu or Machu Picchu, your guide will direct you to where to begin this hike after the tour, please, make sure this is arranged at least 2 months in advance of your visit as tickets do sell out in advance, especially for Huayna Picchu. Once you are done with exploring all Machu Picchu has to offer, you will take a bus down to Aguas Calientes for lunch and an afternoon take train back to Ollantaytambo. Where our staff will be waiting for you, to depart by bus to Cusco and we will drop you off at your hotel. After breakfast at hotel, According to your flight or Bus departure, our staff will be transfer you to the airport/Bus station, here is end of tour. Morning Pick up from the Airport/Bus Station – Hotel Cusco. 01:30 pm Pick up from your hotel in Cusco. 02:15 pm Guided visit of the cathederal of Cusco. 02:30 pm Guided visit of Qoricancha or “Temple of the Sun”. 03:30 pm Transfer by bus to the surroundings of Cusco for visit the following attractives; Sacsayhuaman, Qenqo, Puca pucara, tambomachay and Craft Market. 06:30 pm Return to the city of Cusco (Plaza San Francisco). 09:00 am Bus depart to the Sacred Valley of the Incas. 10:45 am Guided tour of the ruins in Pisac and visit the Crafts market. 10:30 pm Arrival to the City of Cusco and transfer to your hotel in Cusco. City tour Cusco: (Transport – guide). Tour Cusco – Sacred Valley – Ollantaytambo- Aguas Calientes. Hotel (1 night in Aguas Calientes). Bus Journey: Aguas Calientes – Ollantaytambo – Cusco. Transfer Hotel – Airport/ Bus Station. Hotel in Cusco (1st and 3th night).